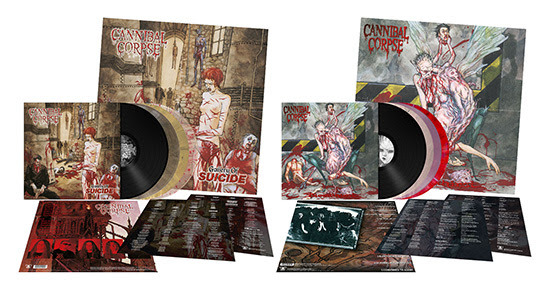 On June 1st, Cannibal Corpse will release exclusive, limited LP re-issues of their classic albums, ”Bloodthirst” and ”Gallery of Suicide”, via Metal Blade Records. See below for an overview of all versions; pre-order your copies now at EMP or ebay. Cannibal Corpse released their latest album, ”Red Before Black”, last fall. Produced by Erik Rutan (Hate Eternal, Goatwhore), ”Red Before Black” once more raises the stakes, making it very clear who sets the standard when it comes to always compelling music that is equally brutal and complex. Moreover, the band has pushed themselves again, ensuring that it stands out from their catalog. At The Gates released a official video as the announcement for the upcoming new album “To Drink From The Night Itself”! Fallen Arise new album recordings are finished!